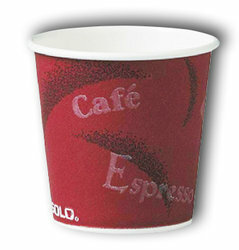 Espresso Cups - 4 oz (50 Count). Enjoy your Espresso shot on the go. Made with 90% plant-based renewable resources. Each sleeve has 100 cups. A great option for your Espresso or a small cup of coffee to get you going.